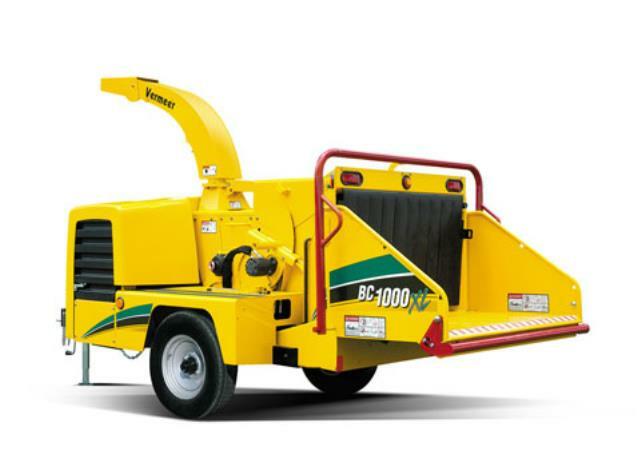 VERMEER BC1000XL-20VP: 10" MAX CAPACITY ; 89 HP GAS ENG. DRUM TYPE CUTTERS : AUTO FEED ROLLER : FEED OPENING 12" x 17"
FUEL TANK 25 GAL. = HOUR RUN TIME : FEED TABLE HGT. 26"
* Please call us for any questions on our chipper 10 inch capacity 89 hp gas rentals in Cincinnati Ohio.